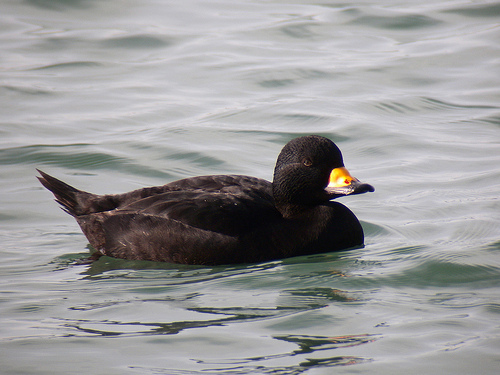 A few kilometers out at sea, you may sometimes see large groups of sea ducks, almost always Scoters. They breed in Scandinavia and Russia and can be found during the winter in large numbers along the North Sea coast. The male bird is almost entirely black, the female is dark brown. But at great distance she will appear black as well. 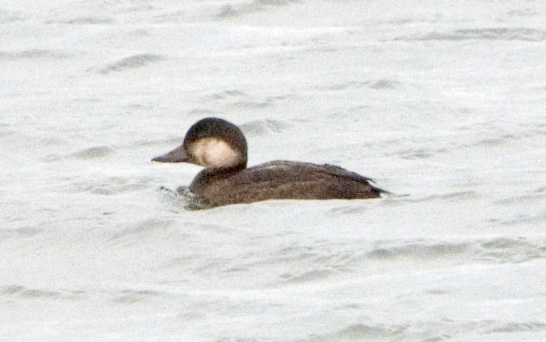 At sea a Scoter is floating like a duck, fairly high on the water. A Cormorant is much deeper in the water and has a longer neck. Both species make long strings in V-formation as they fly over the water. The Brent Goose has a longer neck.